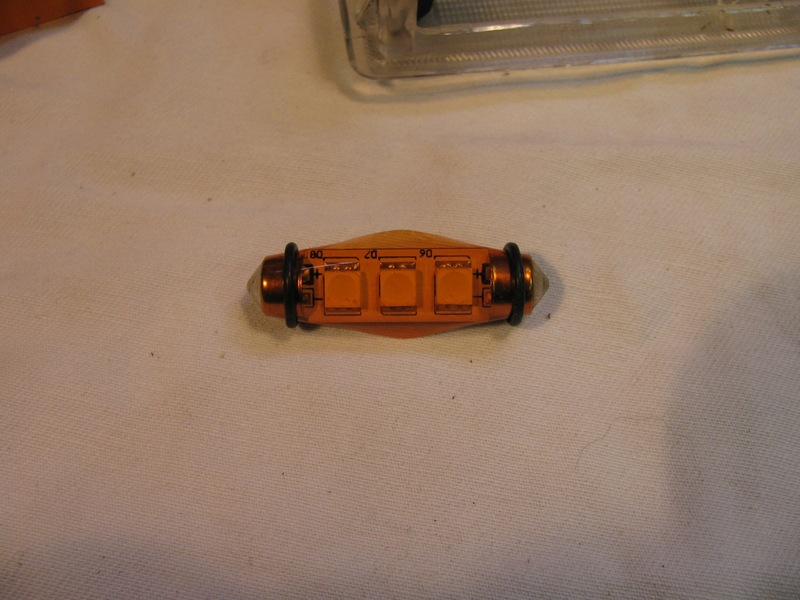 Years ago I made some LED lights for the instrument clusters before they were commercially available. They didn’t look pretty, but they worked. 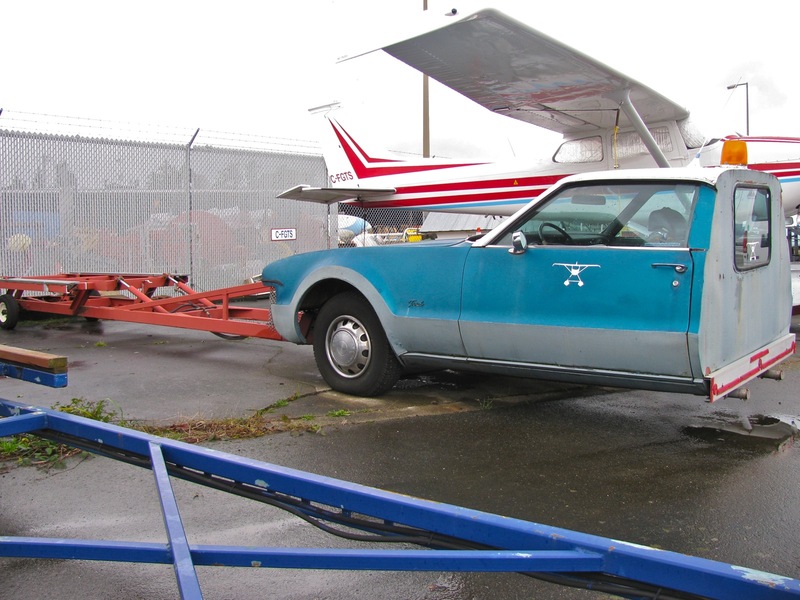 On my old neglected website I have some pics and text. I still have those early models. If you want to see how to make a much neater version, check out this German site. Don’t miss his clock lighting fix either. 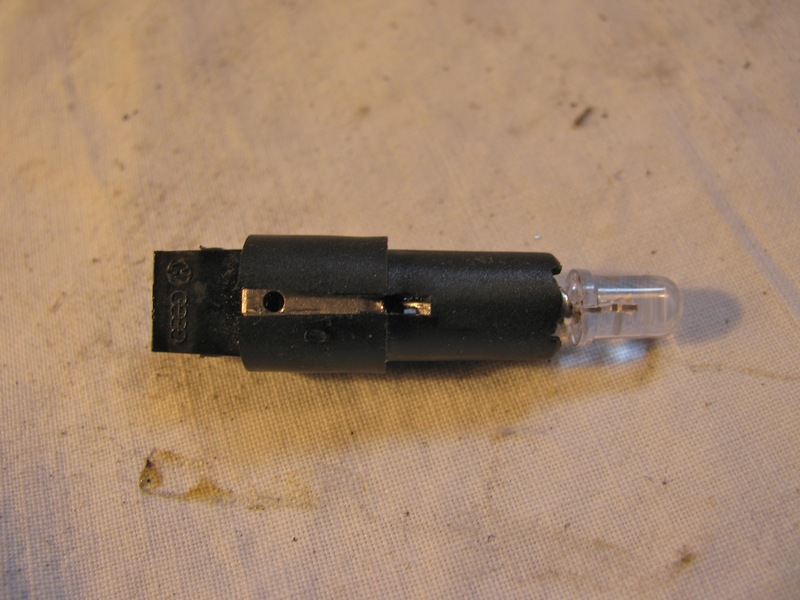 I also hacked up a heater control bulb/socket to take an LED. 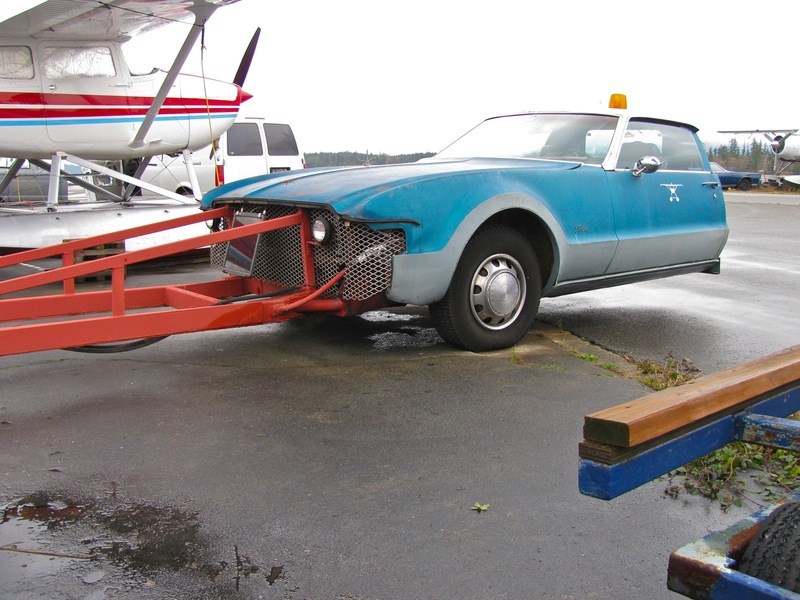 I am embarrassed to show this effort, but as ugly as it is, it does work. So embarrassing that I had to have a go at it again. 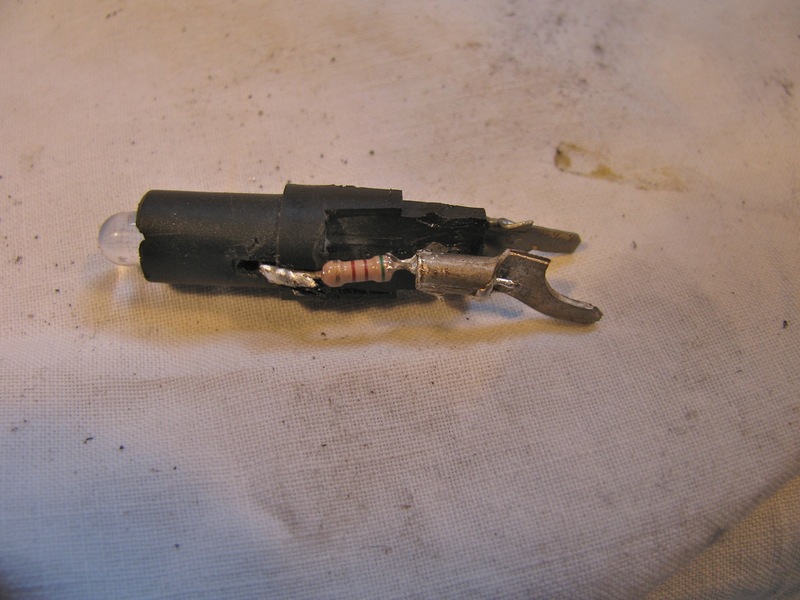 Here is a burned out stock bulb/holder. If you look closely at the slot in the plastic you can see a thin copper wire attached to the silver spade connection. Right adjacent to the “step” in the plastic the spade has a bent inward tab that secures the bulb and the spade in the holder. Bend up that tab (one on each side of the holder) and the bulb and spade will pull out. 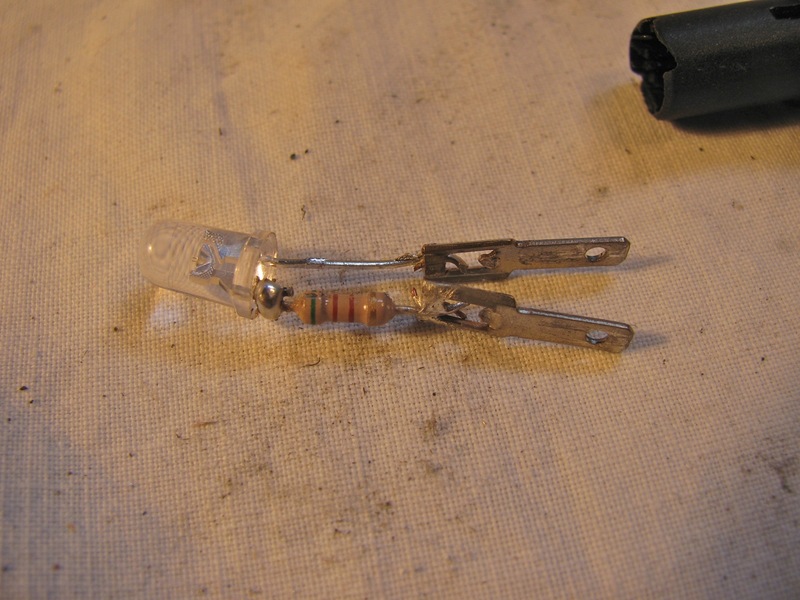 I clipped off the bulb and then soldered on a resistor. Btw, you can decode that resistor value yourself 🙂 and there are online calculators to determine what resistor to use using led voltage rating and supplied voltage. Then the spades were soldered on. And the whole shebang pushed back into the holder. 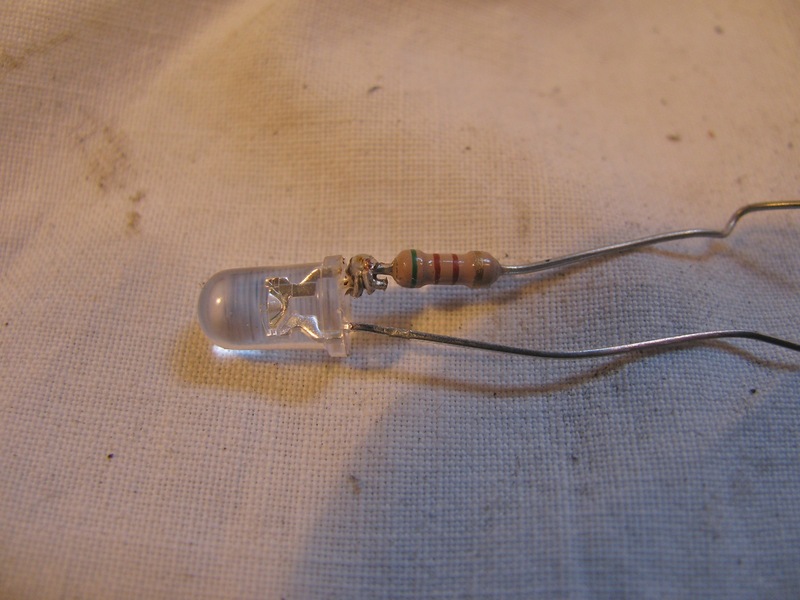 The resistor prevents the led from being inserted fully, but it is pretty secure as is. Not perfect, but a whole lot better than that early mess. I’ll take some pics at night to compare with the stock incandescent. 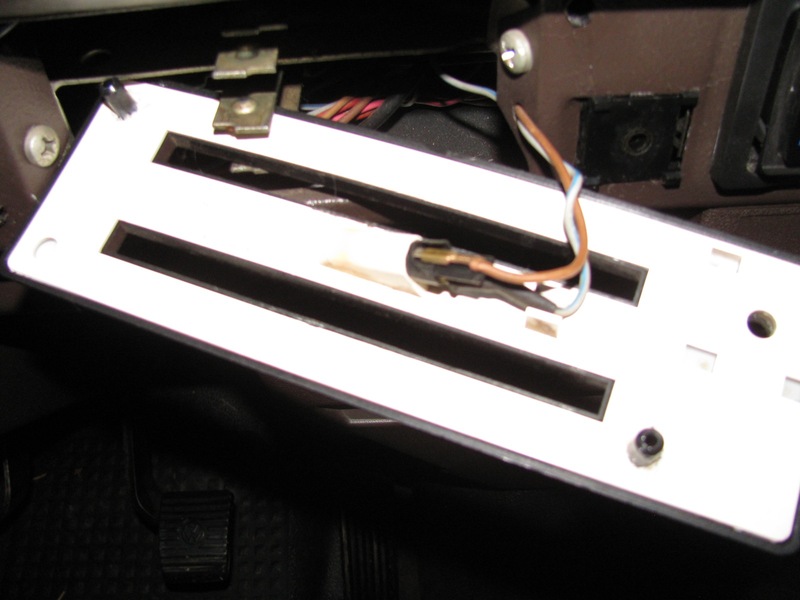 Update Nov 28 2011 – being absent minded, I installed the led modified lights in the heater controls and the rear heater fan switch without taking pics of before swap. To be honest, it is a bit of a “meh”. It does match the rest of the dash now, but I can’t help but wanting something better, brighter. 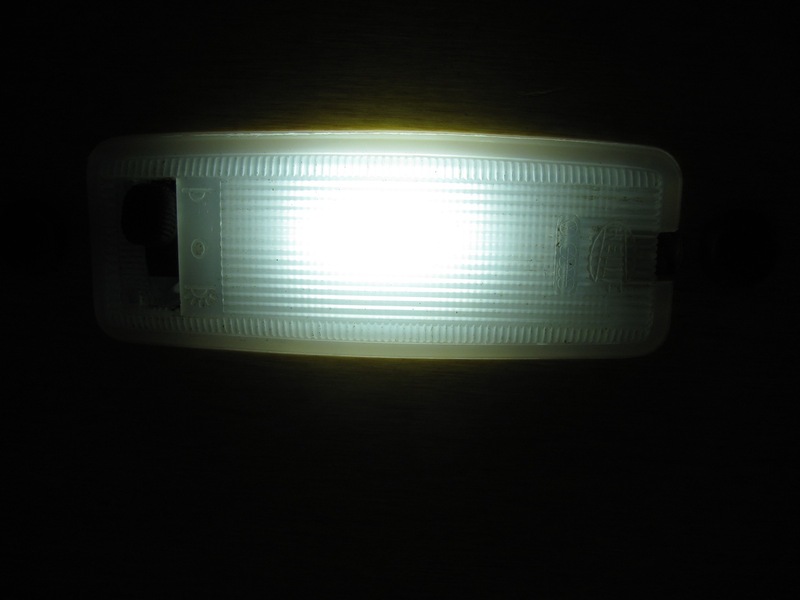 It was a 10,000 mcd LED in the heater control light, pretty bright I thought, but not as bright as I want. 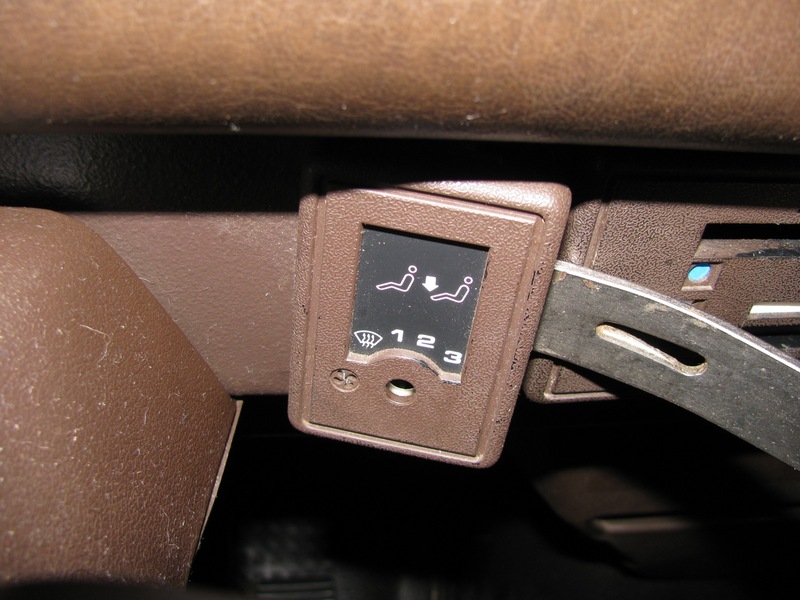 This post was prompted by some Vanagon mailing list members being unaware that the heater controls are supposed to be illuminated, and the light can be dimmed by the dash light dimmer control. 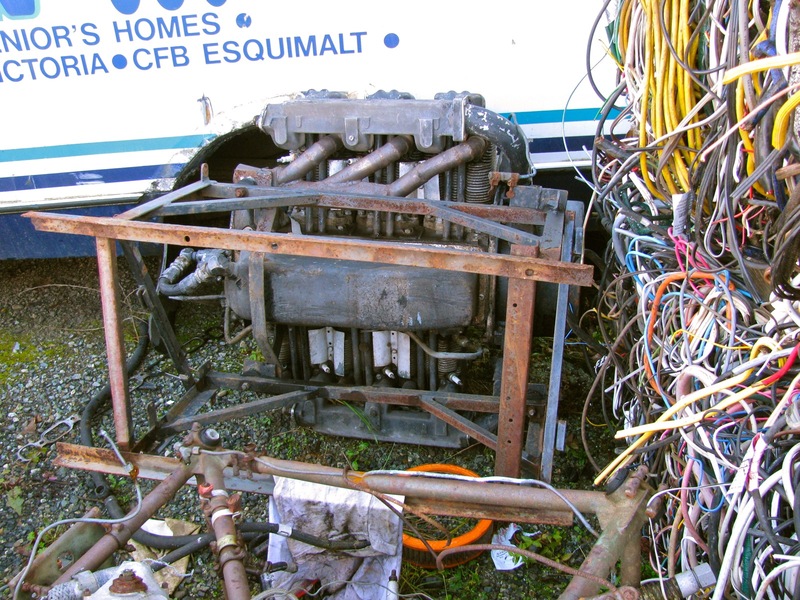 Some warnings about taking off the heater control faceplate. 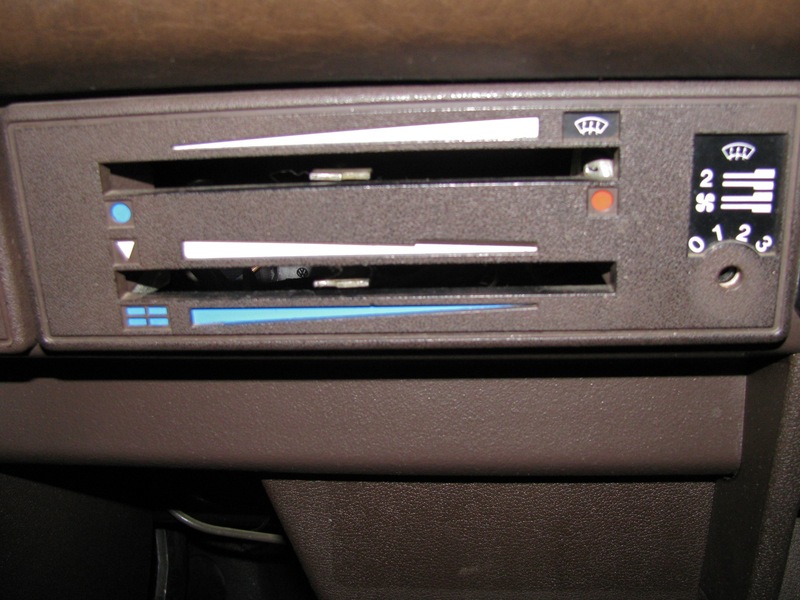 The faceplate plugs into the dash via 2 posts on the back of the plate that fit into holes in the dash. 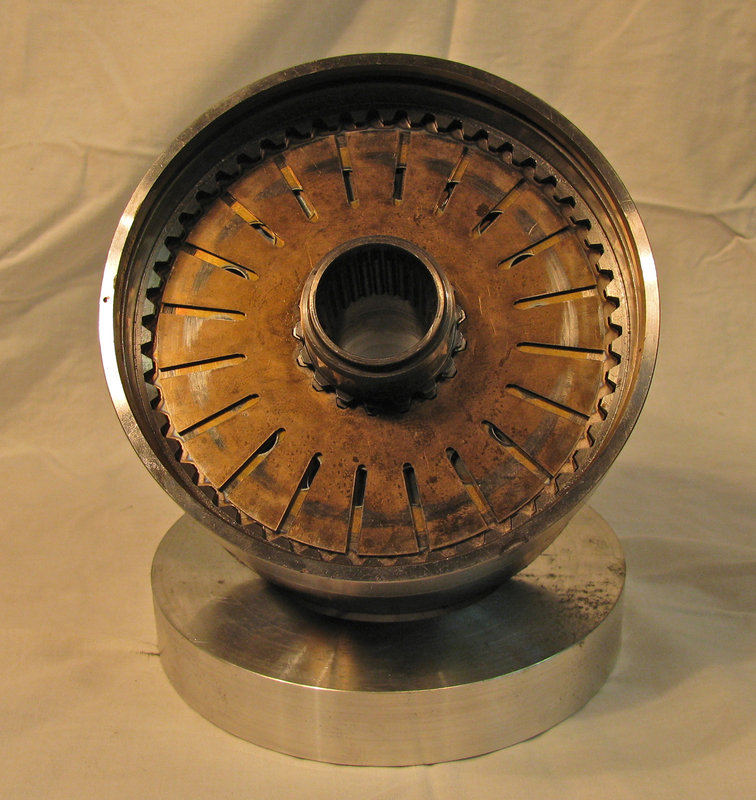 One is located at the lower left of the plate, the other the upper right, but not at the corner, about 1.5″ to the left. A small pry bar or an old table knife can be used to gently pry the plate off. Be gentle, just as with practically all of the plastic in these old vans, the posts can be brittle. When the face plate is off, lightly coat the posts with grease to make later removal easier. 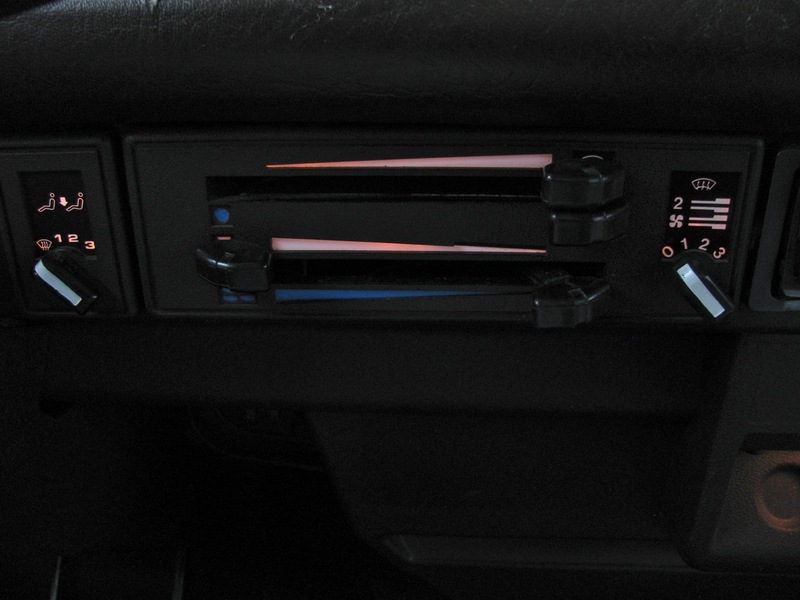 The heater control knobs also can be stuck on tight. Try not to pull on the rubber knob at the end of the lever, and try pushing the lever in a little before pulling out. 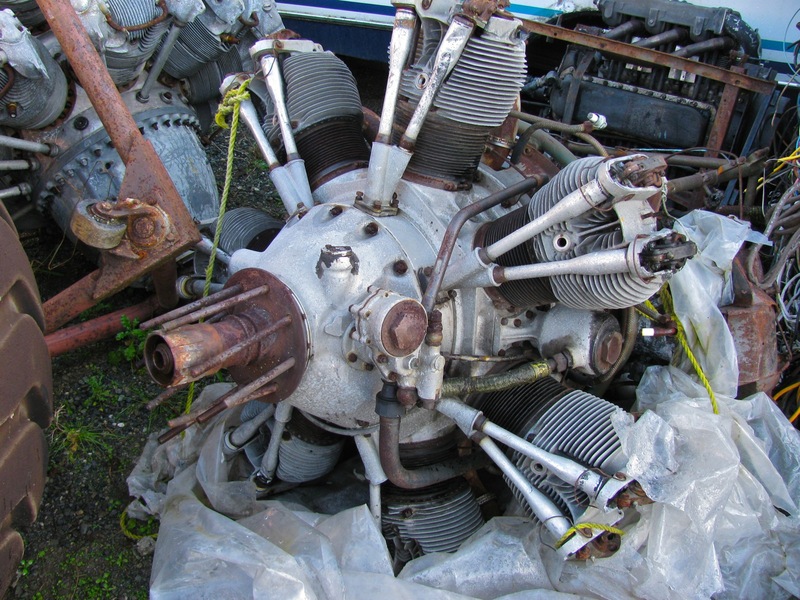 Again, a bit of grease will help in the re-install and removal when you go at them some other time. So here are the controls illuminated. Now to take the face plate off. First pull off the fan switch knob. 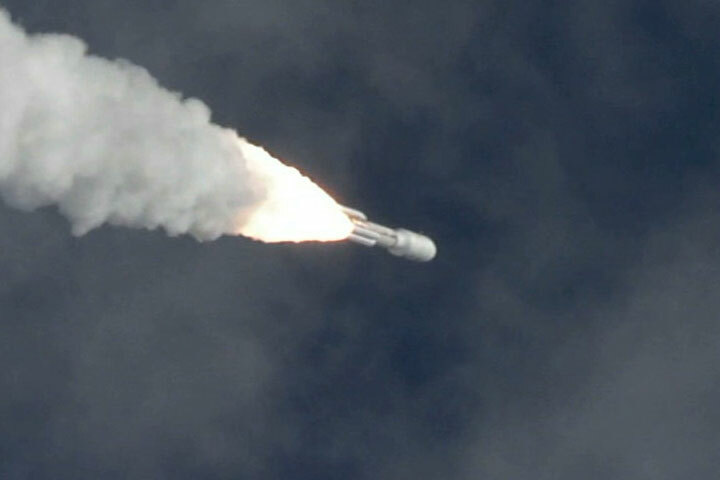 Next carefully pull off the heater control levers (note their orientation first). Be careful, try and control the tugging so that when the lever moves it does not catch on the plate and break it. Squint in the slots and you can see how the levers can catch on the edges of the slots. The old table knife comes in handy again, pry down the lever to guide it out of the slot as you tug. Then pry off the plate. A word on putting those levers back on – use the table knife (again!) to pry down the metal arms in there, as you push the lever on. 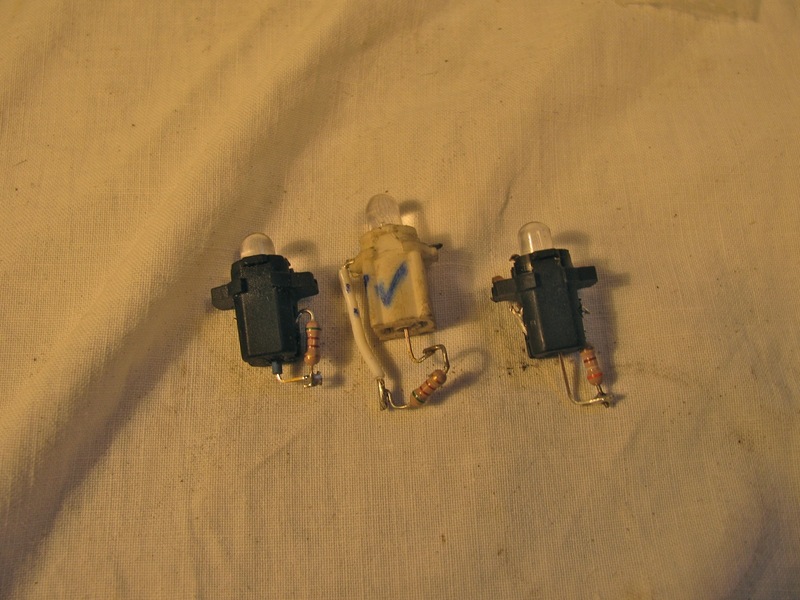 The grey/blue wire is power from the light dimmer rheostat, the brown wire is ground. 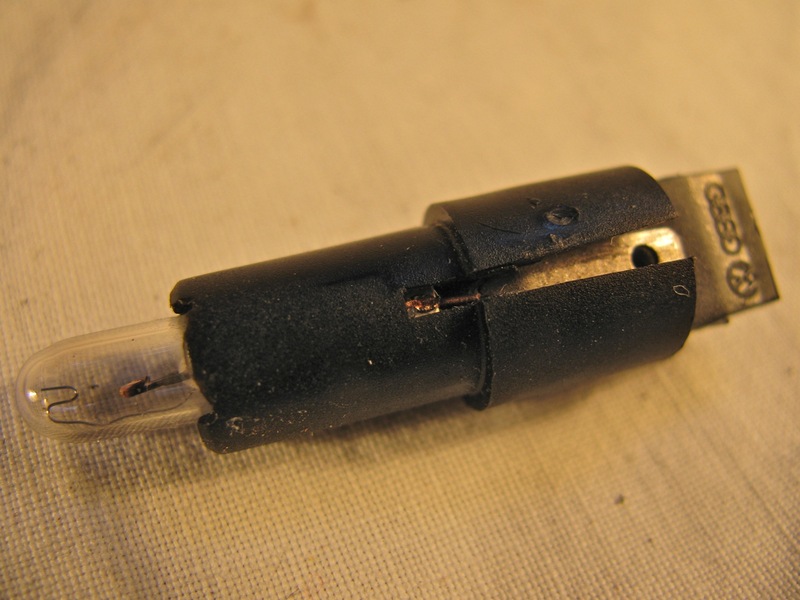 The bulb is integral to the black bulb housing so it has to be replaced as a unit. Here is a white bodied one from Van Cafe. 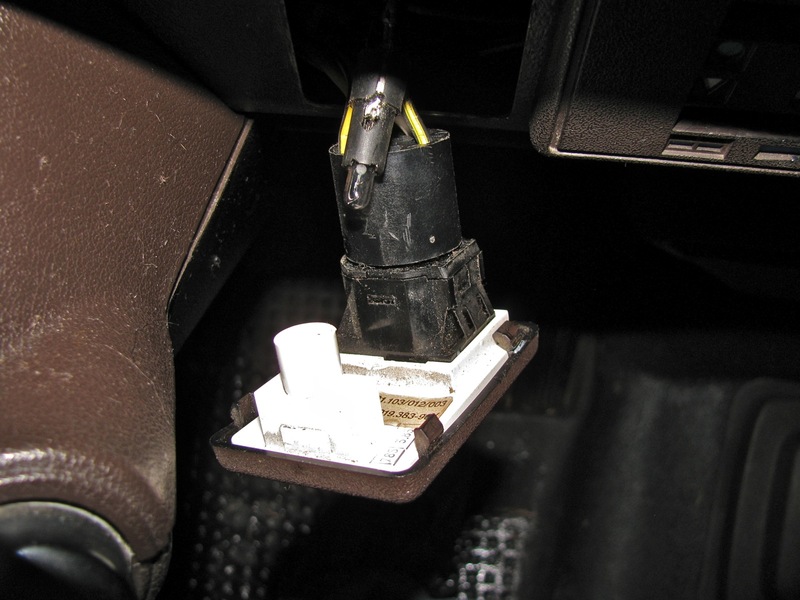 It is the same bulb that is used in the rear heater fan switch. Update: Dave M. wrote: “I was recently (in the last 3 months) able to go to my local VW dealer and obtain replacement bulb sockets with replaceable bulbs. You tell them apart as the ones you can replace just the bulbs in are white sockets instead of black. The sockets themselves have the same type wiring connection, so it is simply plug and play.” I wonder if this is the same as the white bodied one from Van Cafe? 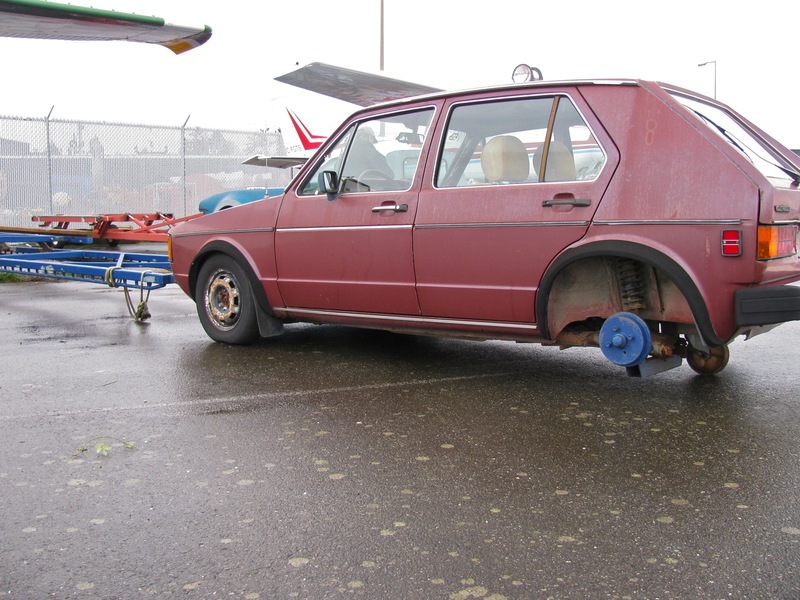 Now that rear heater fan switch. Remove the knob and carefully pry the face plate out. Its should pop out, but to be honest you will reduce the chance of breaking one of the little plastic tabs if you reach in through the heater controls hole and prise the tabs from behind. 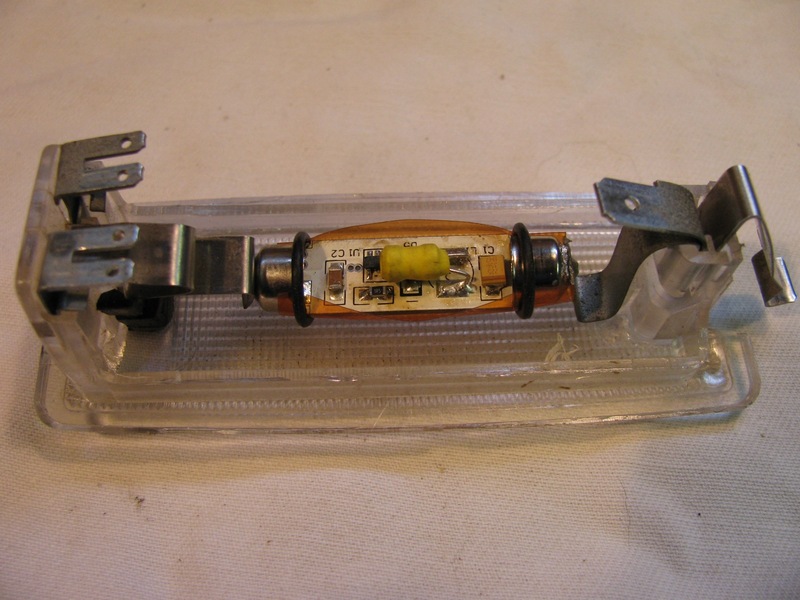 And here is that same bulb and bulb holder, popped out of the switch plate for this shot. Last year I bought a set of LED festoon lights to replace the interior lights in the van and one for the glove compartment/map reading light. For some reason I bought cool whites for the interior lights and a warm white for the map light. I tried to convince myself that the cool white gave a clean and modern feel (ha! ), but no, as friend Simon puts it “it’s like a morgue”. I have 4 door activated interior lights; driver’s door, passenger door, and one on each side at the back seat area. So the morgue effect is throughout the van. In contrast, the map light does give an acceptably warmish cast. I suppose I could buy new LEDs, warm white, but no, I have to try another route. I was talking to the lighting guy at a local theatre and we got onto the subject of lighting gels. I explained the morgue situation and he gave me an old Lee 204 gel. The specs for this filter can be found here. 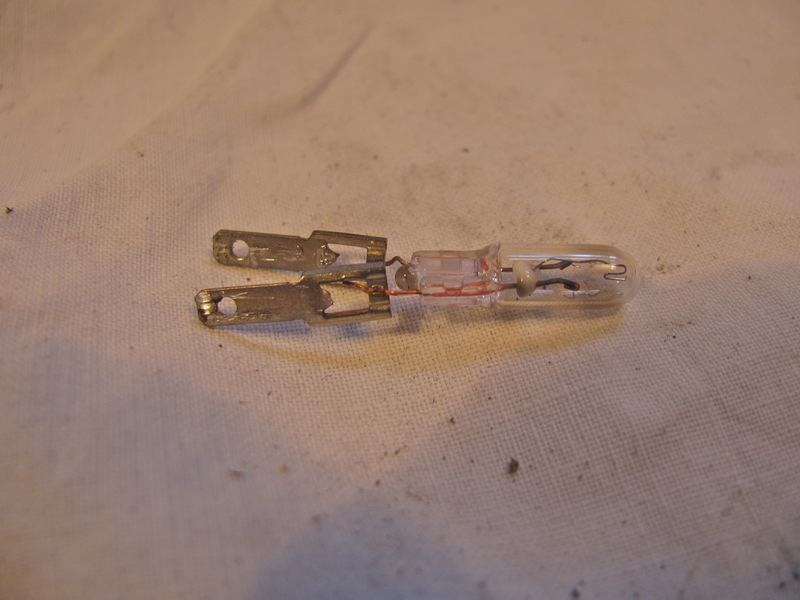 I cut a little strip and wrapped it around the festoon LED and secured it with O-rings. I thought that just putting a rectangular bit of filter in the light housing would allow some cold white to “leak” out of the ends. Back into the light housing. And the result? Well it is different, warmer. Will have to wait until dark to really be sure it works, but the comparison pics are promising. 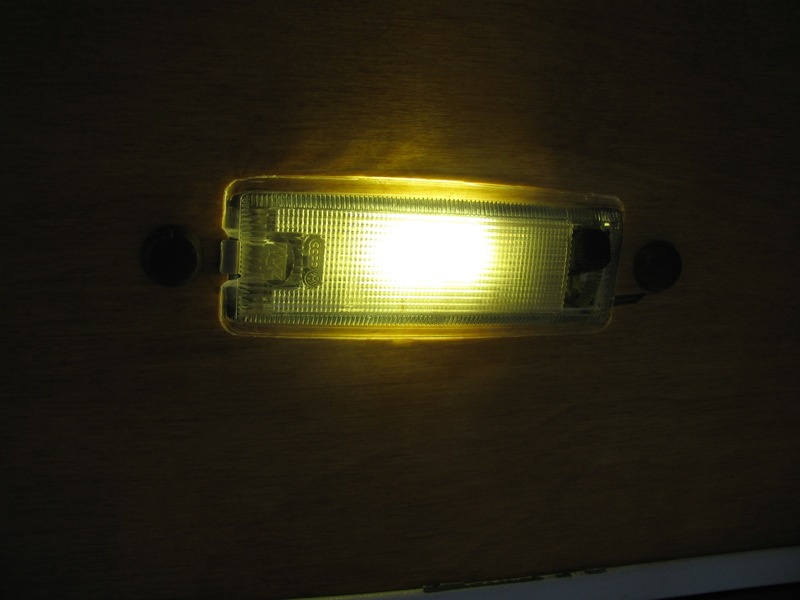 Update: After dark test – still not as cozy as incandescent lights but much better than before. Wet and stormy here and I can’t be arsed to photograph the viscous coupling plate pairs and comment on the wear patterns and present the theories of plate shape and hump condition. So instead, here are three pictures of float plane tugs taken today. This post is just to clarify, a little, how the plates inside a viscous coupling (VC) are arranged. 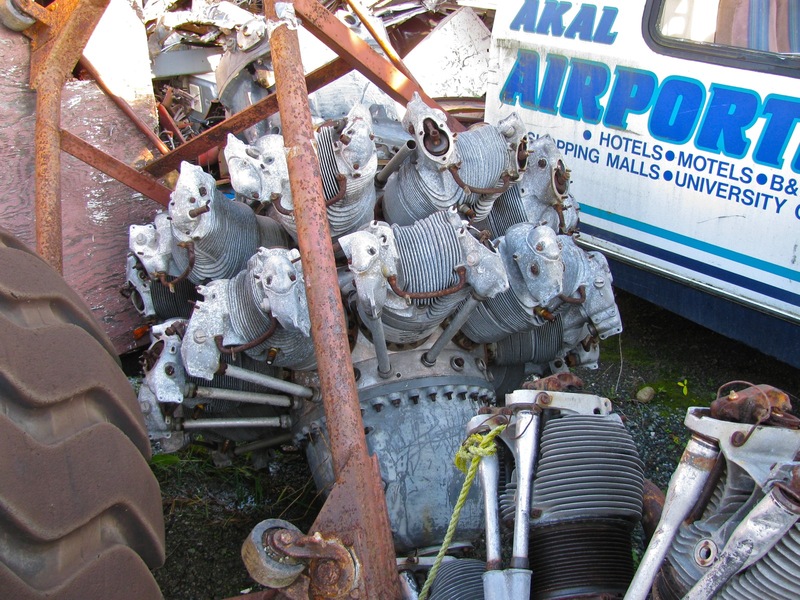 My post on replacing a VC shows more pictures of the assembly and the seals. Maybe a couple of pics of the VC (end plate removed) to set the scene. Note the end shims, and the absence of the circlip (groove for it in shaft is visible) that keeps the plates all together. Another angle, end shims removed. There are 24 pairs of plates in the VC. 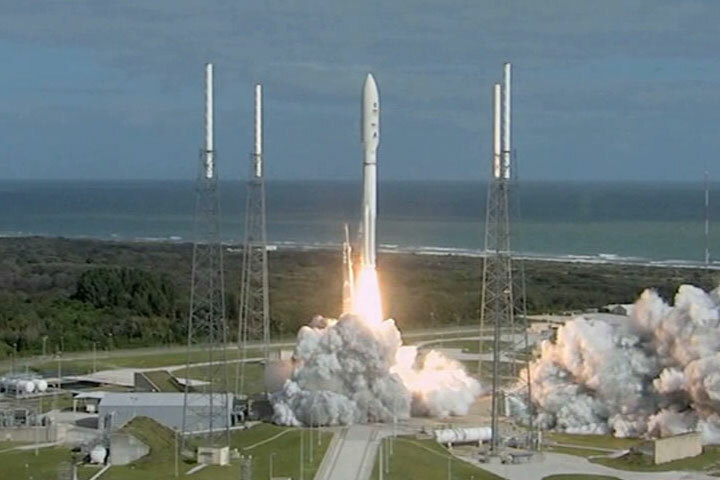 One set are keyed to drive (or be driven by, semantics) the VC housing itself. So these plates have notches around the edge that fit in internal splines on the VC housing. They also are the plates with the circular holes in them. The other set of plates, slightly smaller in diameter, are keyed to drive the central splined shaft. They have slots in them. 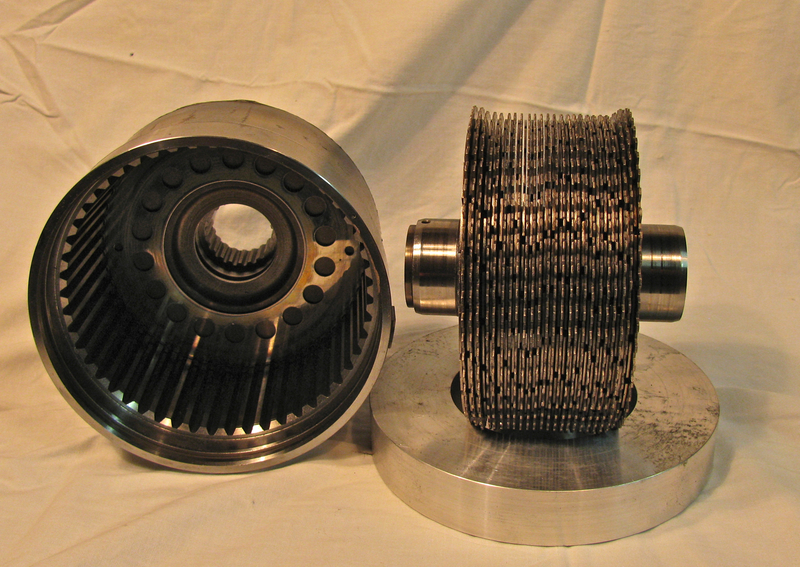 The propshaft from the transmission is connected to the housing, the pinion of the front differential is connected to the central shaft of the VC. 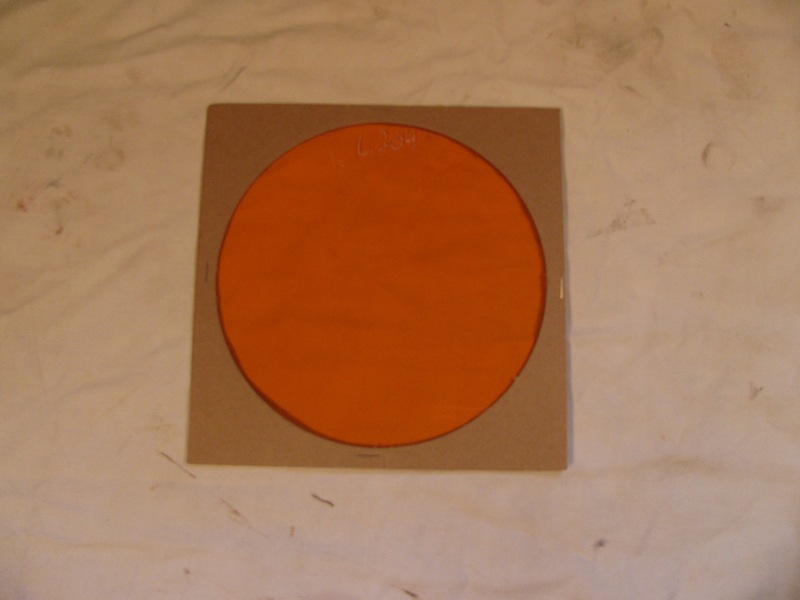 The silicone fluid filling the VC is what mediates the power transfer between the plates. I won’t be going into the silicone fluid in this post. There are spacers between pairs of plates, and these spacers fit into the hole in the middle of the plate that is keyed to the housing. 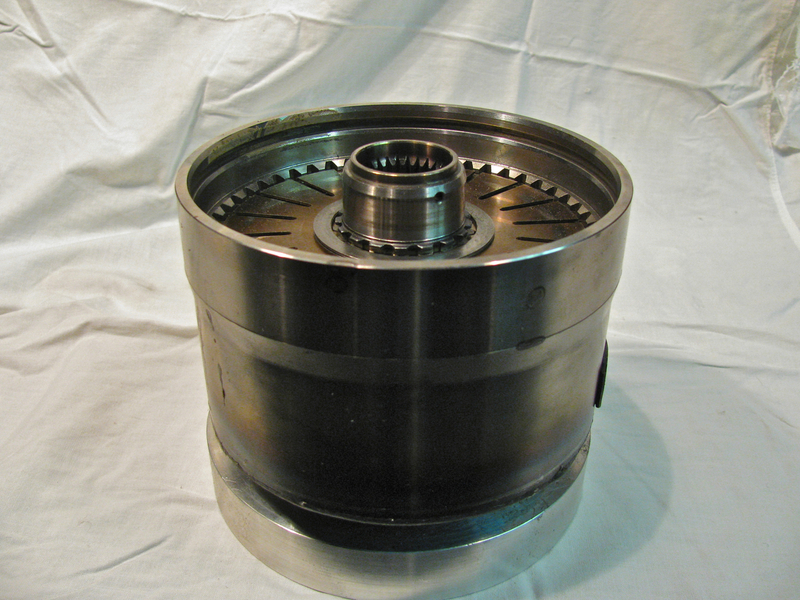 The spacer is (all measurements are approximate) 0.065″ thick. The plates themselves are 0.040″ thick. 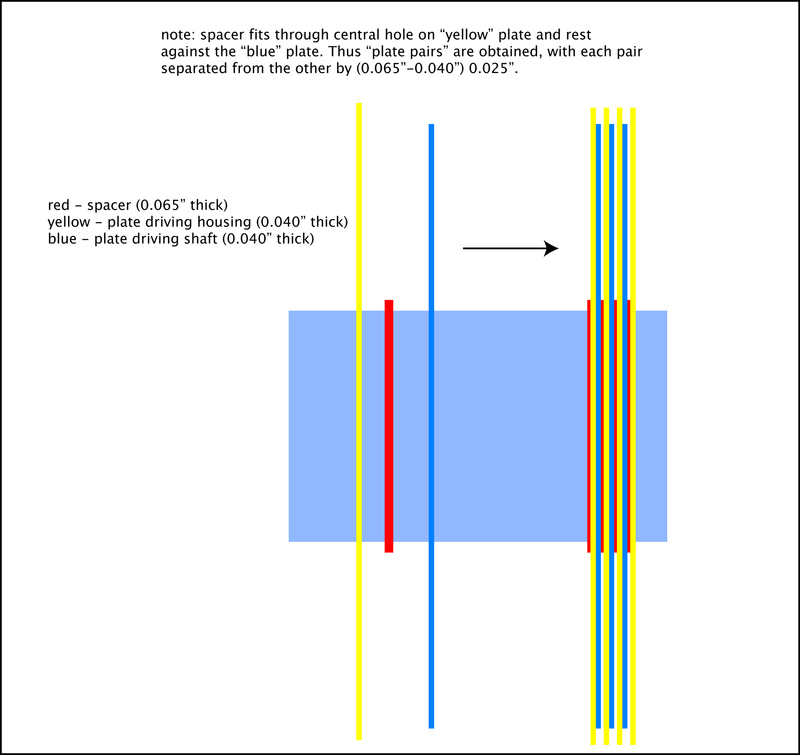 So with the spacer partially lying in the hole of one plate, it only projects about 0.025″. That means the plate pairs are separated from each other by 0.025″. I think it is time for a simple diagram. Does that diagram make sense to you? 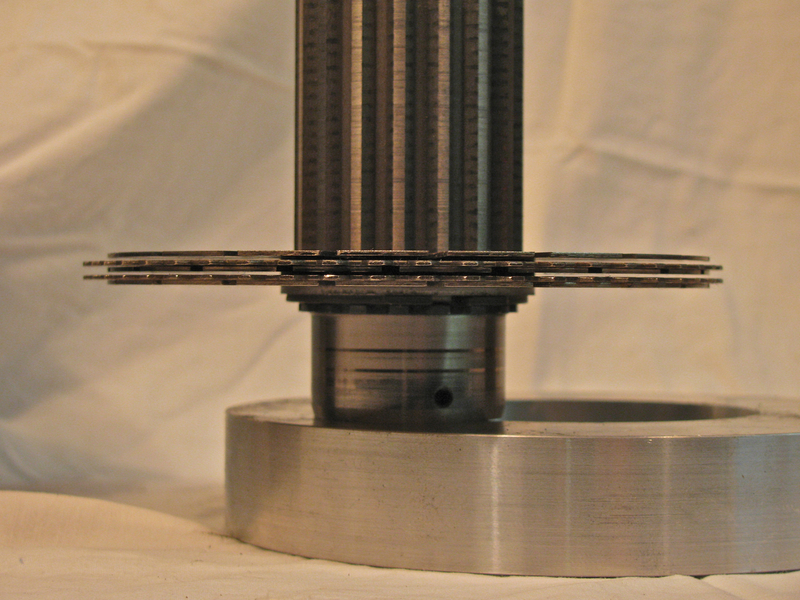 You can make out the spaces between the plate pairs in this picture of the entire stack o’ plates out of the housing but still on the shaft. Oops, looks like I left the last plate in the housing. Also the aluminium ring I am using to support the plates is causing the plates at the end to be pushed upwards. Of course when in the housing they are all aligned. Here is a closer view, no mistaking the pairing of the plates. And here is a stack of 2 pairs, plus one shaft keyed plate on top. I’ll post pictures of the wear patterns on the plates and try and relate that to the pairing of the plates in the next part. All comments and corrections welcome.